In the United States, the 2016 Democratic Party Platform featured stronger-than-ever language that seemed to embrace most of the substantive recommendations that the National Alliance of HUD Tenants (NAHT) proposed that year: increased funding for vouchers, public housing repairs, fair housing, although without specific dollar recommendations. In preparing for the upcoming national budgeting process, NAHT argues that the 2018 Peoples Budget should be at least as strong and progressive as that mainstream Party platform. NAHT is the first national membership organization of resident groups advocating for 2.1 million lower-income families living in privately owned, US Department of Housing and Urban Development (HUD)-assisted multifamily housing. Amid the promised and actual violations of housing rights under US president Trump (see below) and his Republican Party-approved HUD secretary Ben Carson, NAHT is trying to strengthen the housing platform of the Peoples Budget, the alternative Budget Resolution filed each year by the Congressional Progressive Caucus (CBC), the left wing of the Democratic Party in the US Congress’ House of Representatives. 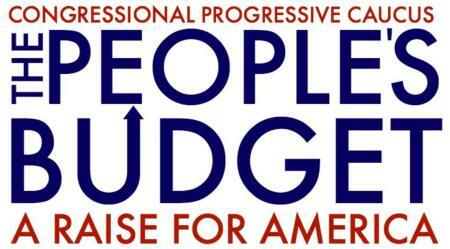 The CPC Budget is offered as an amendment to the congressional budget resolution that sets funding levels for all US Government agencies, scheduled to be passed in the US House in April 2017. In 2015, the last time there was a budget resolution vote, the Peoples Budget drew 96 votes (the US House has 435 members). This year, the vote will be a test of the strength of support for progressive alternatives in Congress. Amid the broad-based backlash against the 45th president and his entourage this year, NAHT expects the positive votes to increase, in part due to a newly initiated national Peoples Budget Campaign with several other national allies. The new NAHT campaign is rallying under the banner: “A Right to Housing for All: Toward a Decent Home for Every American Family.” This claim reflects a commitment that came from the US Congress to the goal of a “decent home… for every American family.” However, almost 70 years later, the nation’s housing crisis remains unabated. In 2017, NAHT campaigners expect House Republicans to propose extremist cuts to the US budget in the range of $6 to $10 trillion over the next 10 years. This would represent a 50% cut in all domestic discretionary programs such as housing, as well as cuts to health care and Social Security “entitlement” programs, tax cuts for the rich, and increased Pentagon spending. For housing programs, Trumps’ new Budget Director Mick Mulvaney (narrowly approved by the Senate last Thursday) last year supported a Heritage Foundation-proposed budget that sought to eliminate low-income rental subsidies for five million households over 10 years.